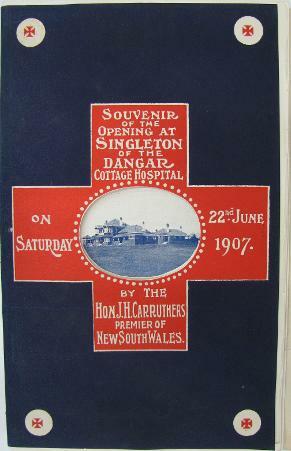 Singleton's Dangar Hospital was opened on the 22nd of June, 1907. Mr. and Mrs. A. A. Dangar (shown below) donated the land the hospital was built on, as well as funds to build the hospital. Much of the original building and architecture remains today. As the hospital could not afford to feed and stable horses, Singleton's first ambulance was a hand-drawn cart. It was donated to the hospital through funds raised by the Ladies Glee club and donated on 14 December 1909. In 1948 it was converted for use by council staff for carrying grass clippings and forgotten as an ambulance, it remained in use until 1963 when it a historical society member found a plaque and investigated the history behind the device. This cart is housed today at the Singleton Museum. Singleton's First Ambulance (photographed at the Singleton Museum). Courtesy of the Singleton Historical Society & Museum. 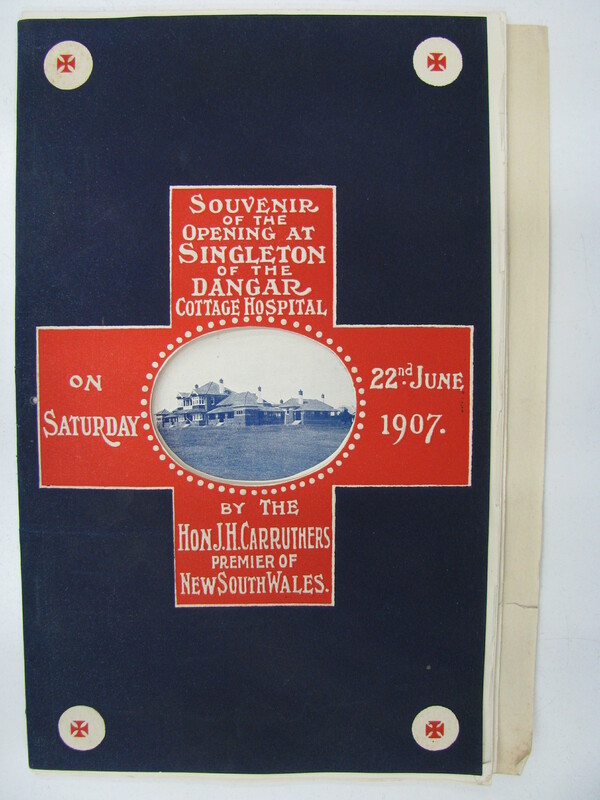 Cover of The Souvenir of the Opening at Singleton of the Dangar Cottage Hospital from the Morrison collection, University of Newcastle, Cultural Collections. 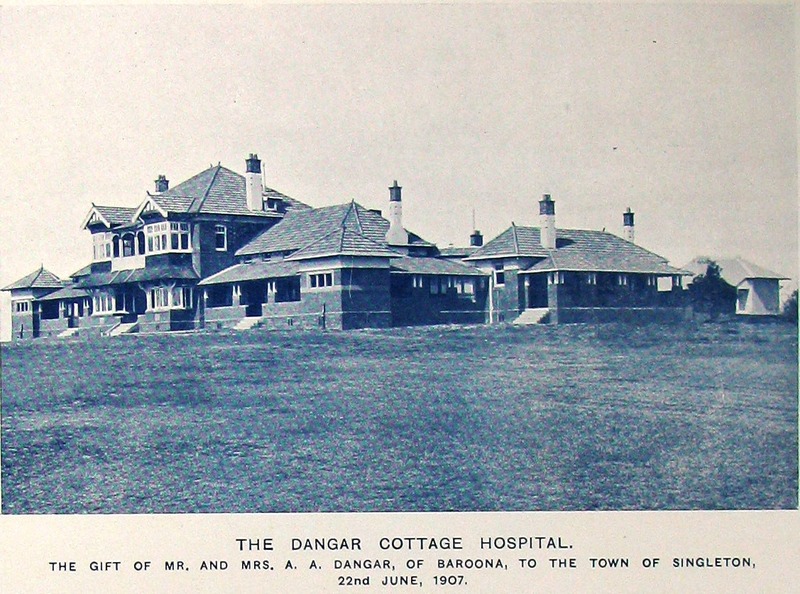 The Dangar Cottage Hospital, 22 June 1907 (still standing today). From The Souvenir of the Opening at Singleton of the Dangar Cottage Hospital from the Morrison collection, University of Newcastle, Cultural Collections.